Diesel engines work differently than gas engines. One of the most notable differences between the two is how fuel is delivered to the engine. 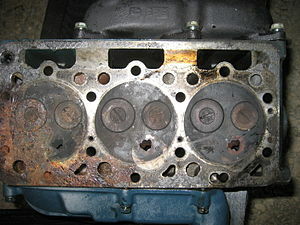 Rather than using a carburetor, diesel engines use a fuel injection system. The design of the fuel injection system and the sizes and shapes of the individual parts may vary slightly from one engine manufacturer to another. However, primarily all parts are made of alloy steel, regardless of manufacturer. The injector assembly is mounted directly on the engine. The fuel pump provides fuel to the injector where it travels through the chamber to reach the valve needle. Here, the pressure builds until the needle is forced to spray the fuel out. The needle then returns to its original position, until the process is repeated. After spraying, some of the fuel runs back through the body acting as both a coolant and a lubricant. This fuel is then returned to the gas tank and reused. The type of nozzle used depends on whether it is a direct or indirect injection engine. A hole type nozzle is used in a direct injection engine which has an open combustion chamber. The nozzle can have one or more holes. When the nozzle sprays, it sprays a high pressure, hard, mist type spray. A pintle nozzle is used for an indirect injection engine where the air in the main chamber is not highly compressed.. A pintle needle works under lower pressure giving a more direct spray that is less compressed. The shape of the pintle’s spray depends upon the shape of the pintle. A properly working fuel injection reduces emissions, keeps the engine running smoothly and increases fuel efficiency.